High end battery charger with built-in power supply. The WorkShopCharger makes your day easier. 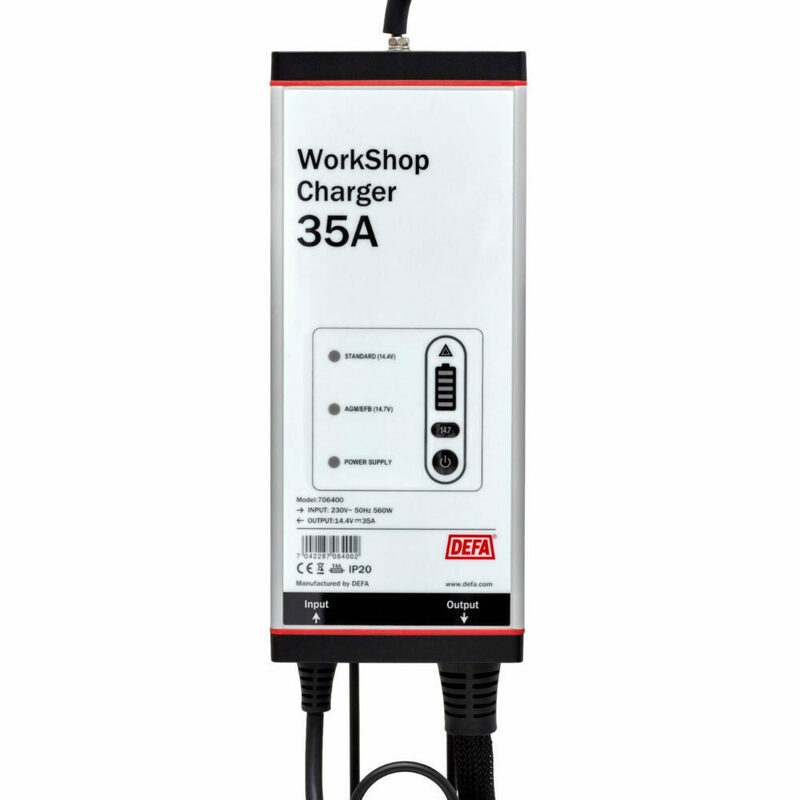 WorkShopCharger 35A features modern switchmode technology, galvanic isolation, a temperature compensated charging cycle and excellent efficiency. This protects sensitive electronics and improves the performance and lifetime of the battery. WorkShopChargers can also recondition degenerated batteries with automatically controlled software. Powersupply mode is activated when pressing and holding the on button until the LED’s in the display begins to light up in a bottom to top sequence. Some batteries require a higher charging voltage than others (this will be described on the battery). If the 14.7V button is activated the initial charging voltage will be 0.3V higher than the standard level. Read the installation and user guides carefully.